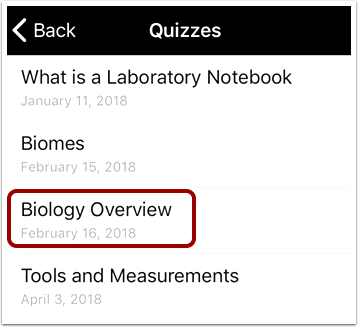 If you cannot find your quiz in the Quizzes page, your instructor may have assigned a Quizzes.Next assessment. 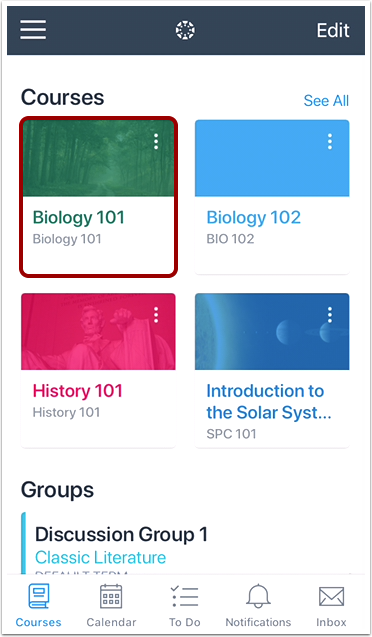 Note: The Course Navigation menu matches the browser version of your Canvas course. 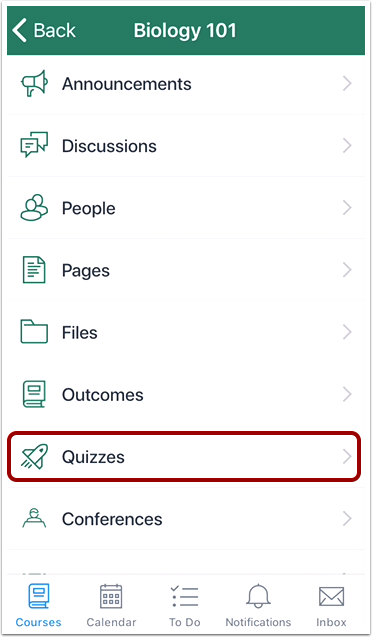 If Quizzes is not available in Course Navigation, it will also be hidden from view in the app. 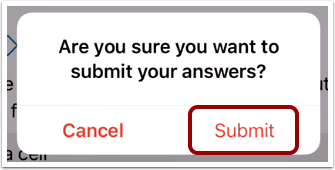 Note: You may be asked to log in to Canvas to view your results. 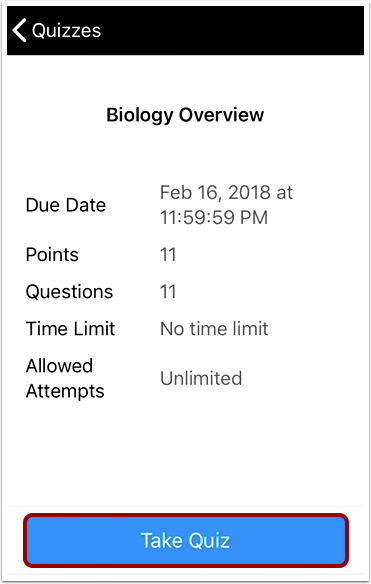 Previous Topic:How do I view People in the Student app on my iOS device? 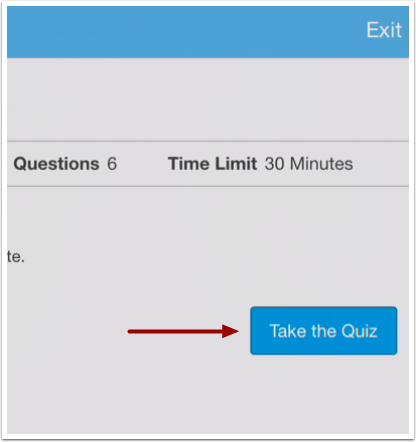 Next Topic:How do I take a Quizzes.Next assessment in the Student app on my iOS device? 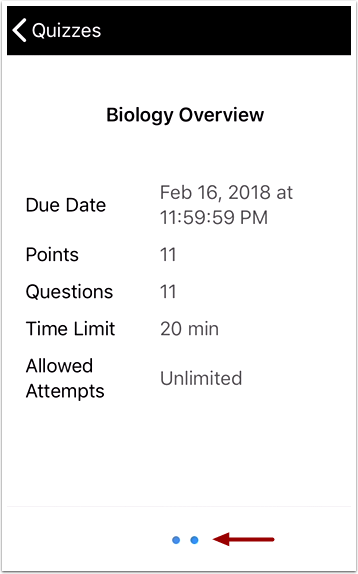 Table of Contents > Course Features > How do I take a quiz in the Student app on my iOS device? 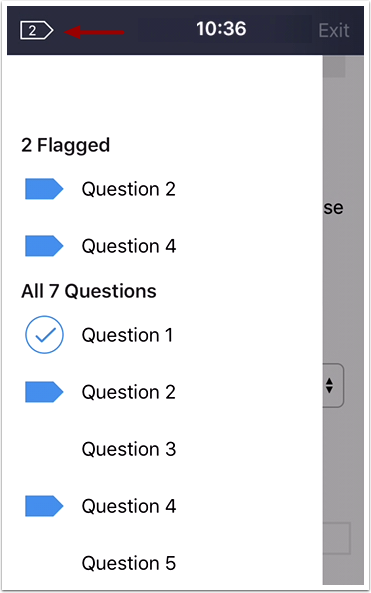 Any quizzes that do not contain supported question types will be redirected to the web version of Canvas. 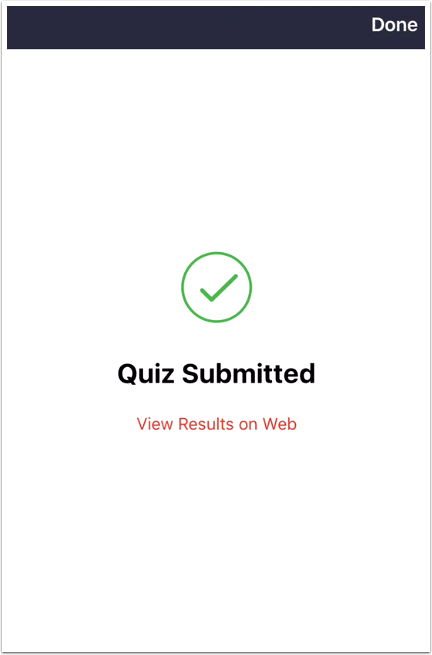 Quizzes that contain any question types not supported by the mobile app will be redirected to the web version of Canvas. 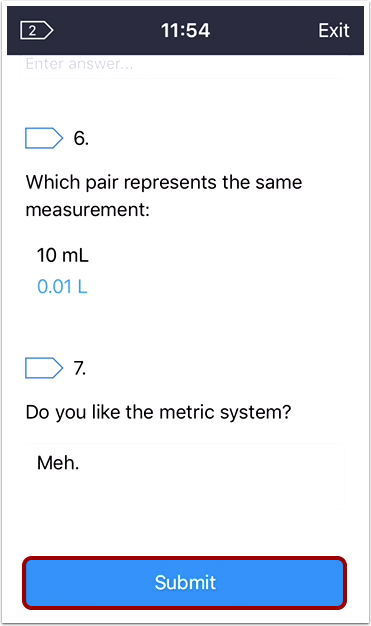 Thanks for your comments! 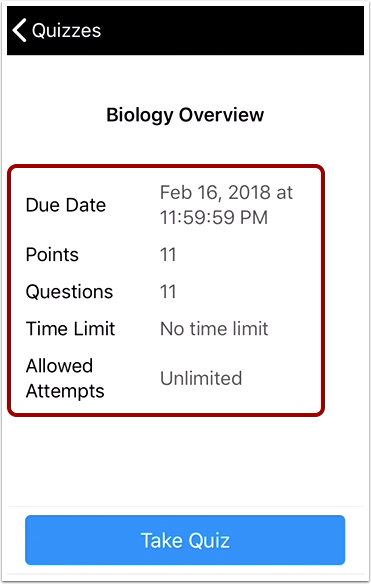 I have passed this along to our mobile documentation team for consideration, as well as your note on How do I take a quiz in the Student app on my Android device?. Please let us know if there's anything else we can help you with. 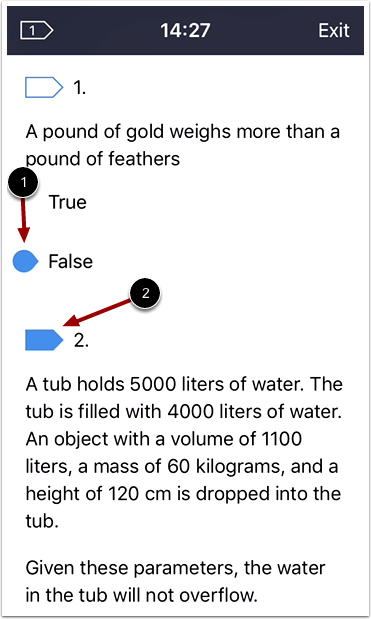 Re: Can we disable students' ability to look up answers when taking a test?